Leaving no doubt this morning, T-Mobile announced that the LG V30 will be the carrier’s first 600MHz LTE-capable smartphone. The phone was announced last night and T-Mobile went ahead and confirmed the news this morning, that LG gets the first look at that shiny new spectrum they spent all that cash on. T-Mobile previously told us to expect LTE Band 71 phones from both Samsung and LG before 2017 wraps, yet Samsung’s Galaxy Note 8 doesn’t seem to be equipped to take advantage. That leaves LG and the V30 as the first and only smartphone so far, though there is still a chance Samsung could issue something later on. “What will that be and how low-end might it end up?” is probably the question to ask there. 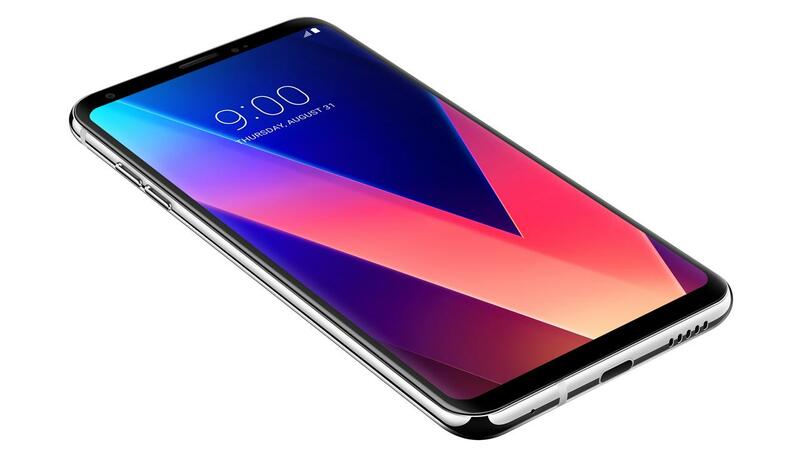 So if you are the ultimate T-Mobile customer who wants a futureproof phone that can utilize the full T-Mobile network, you might want to consider the LG V30 as your next smartphone. Not only will it connect to all of T-Mobile’s network bands, it’s also shaping up to be a hell of a phone. We’ve spent a lot of time with the device already and have nothing but positive things to say about it. The design and build are as premium as it gets, the dual camera setup could very well be the best we’ve seen to date, the performance is almost unmatched, and the big 6-inch POLED display is awesome. Without having been able to do proper testing on the V30, I’m already leaning towards this being LG’s best phone by a substantial margin. With 600MHz connectivity, the V30 should work better in buildings and find signal in new T-Mobile markets that might not be as heavily tower’d up just yet. All of that should lead to better battery life and a more pleasurable experience. This is a big first step, even if the 600MHz Band 71 LTE spectrum won’t go live until later this year for most of us.